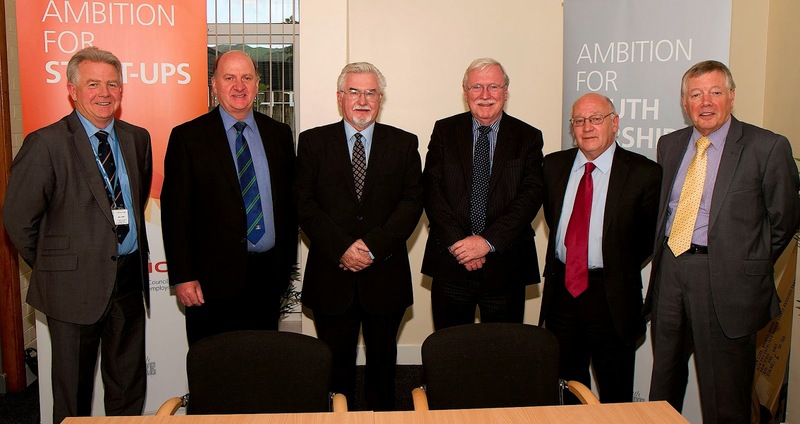 Ayrshire Scotland Business News: An AMBITION realised for businesses in Girvan! South Ayrshire Council’s brand-new AMBITION enterprise and employment programme which offers new or start-up businesses fantastic modern office accommodation, hands-on business support and mentoring – and even grant funding – is expanding, with a new facility now open in Girvan. The incubator unit provides the ideal location to develop and grow a new business, with The three permanent desks and one hot desk, which will accommodate up to five companies – three full-time and two part-time. The library meeting room has been upgraded and the facility will be shared with the community. Complementing the practical support the unit provides is a package of mentoring, access to expertise and advice and hands-on support to ensure businesses get the best possible start and really get the chance to grow. The Girvan incubator has been opened less than a month after the first unit at Heathfield in Ayr opened its doors for business – and a third facility, planned for Maybole, will be opening soon. * AMBITION for Social Enterprise. AMBITION aims are to help create jobs, keep jobs, help businesses start-up, help businesses grow, increase the number of social enterprises and, ultimately, help improve the local economy in South Ayrshire in a lasting and meaningful way. South Ayrshire Council Leader, Councillor Bill McIntosh, explained: “AMBITION is all about taking a bold – but lasting and sustainable – approach to help achieve economic stability and security for our communities and I’m delighted we can now do this in Girvan. “AMBITION is an integrated package of support that is designed to create jobs, keep jobs, help businesses start-up, help businesses grow, increase the number of social enterprises and ultimately help improve the local economy in a lasting and meaningful way. “It’s about doing something different, through enterprise, to achieve the best possible outcomes for our communities, which can not only change lives – it can make lives. “Starting a new business can be a daunting prospect, but that’s where we step in, offering the advice, guidance and support to help you succeed and I would urge anyone starting up – or interested in starting up – a business to get in touch with us to see if Girvan fits the bill. “Our support will also help businesses increase the number of people they employ and – crucially – helping people gain the skills, knowledge and experience they require to take full advantage of these job opportunities. For further information about the Girvan or the Heathfield incubator units or any other aspect of the AMBITION programme, call 01292 616265 or visit www.ambitionprogramme.co.uk. • AMBITION for Business Growth.